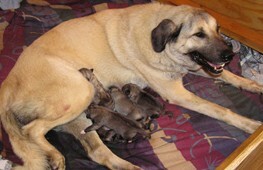 healthy Kangal puppies, sired by Sivas Regal’s Vasi. Fortunately, the Lamberts have plenty of space! 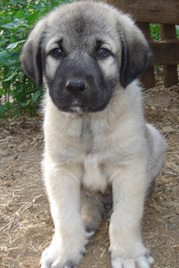 Kangals can grow to 140 lbs! These puppies are now doing their jobs guarding flocks, working as therapy dogs, and being exquisite ambassadors of their rare breed.